Showing results for tags 'Klipsch'. DanielAndrew posted a topic in Alerts! Klipsch R-10SW Passive Subwoofer On Ebay https://www.ebay.com/itm/Klipsch-R-10SW-Passive-Subwoofer/254175157372? Klipsch R-10SW Powerful 10 300 watts Subwoofer - C On Ebay https://www.ebay.com/itm/Klipsch-R-10SW-Powerful-10-300-watts-Subwoofer-C/173833594058? Klipsch R-115SW Powered Subwoofer On Ebay https://www.ebay.com/itm/Klipsch-R-115SW-Powered-Subwoofer/113669779254? KLIPSCH SET - SUB 10 12V SUBWOOFER + KLIPSCH QUINTET III SPEAKERS On Ebay https://www.ebay.com/itm/KLIPSCH-SET-SUB-10-12V-SUBWOOFER-KLIPSCH-QUINTET-III-SPEAKERS-USED/392027662289? Klipsch R-10SW Powerful 10 300 watts Subwoofer - B On Ebay https://www.ebay.com/itm/Klipsch-R-10SW-Powerful-10-300-watts-Subwoofer-B/183594515819? Klipsch R-115SW 800W Powered 15" Subwoofer On Ebay https://www.ebay.com/itm/Klipsch-R-115SW-800W-Powered-15-Subwoofer/143117329878? KLIPSCH R-10SW REFERENCE | 10" | 300W POWERED SUBWOOFER | BLACK On Ebay https://www.ebay.com/itm/KLIPSCH-R-10SW-REFERENCE-10-300W-POWERED-SUBWOOFER-BLACK/292936880675? Klipsch Reference R-115SW Subwoofer On Ebay https://www.ebay.com/itm/Klipsch-Reference-R-115SW-Subwoofer-Open-Box/303031930415? Klipsch SPL-120 12" Powered Subwoofer On Ebay https://www.ebay.com/itm/Klipsch-SPL-120-12-Powered-Subwoofer-Ebony-Open-Box/303019127866? Klipsch RP-450CA Center Speaker -Black On Ebay https://www.ebay.com/itm/Klipsch-RP-450CA-Center-Speaker-Black-Open-Box/292894994373? Klipsch R-12SW Powered Subwoofer - Black On Ebay https://www.ebay.com/itm/Klipsch-R-12SW-Powered-Subwoofer-Black/163456805089? 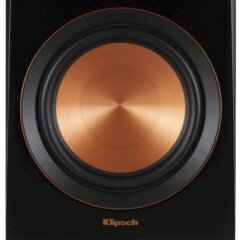 Klipsch RF-7 II Main / Stereo Speakers On Ebay https://www.ebay.com/itm/Klipsch-RF-7-II-Main-Stereo-Speakers/352537244553? Klipsch Reference R-112SW Subwoofer On Ebay https://www.ebay.com/itm/Klipsch-Reference-R-112SW-Subwoofer-Open-Box/292836720109? QUARTET'S AND FORTE'S AND ACADEMY'S OH MY!! Title says it all. Take a look. Pricing as follows. Forte II - 500 (sold) Quartet- 500 (sold) 3 Academy-600 All the grills are mint and original. Forte's and Quartets are Mint Mint. Acadamy's vary in condition, price is for ALL 3.